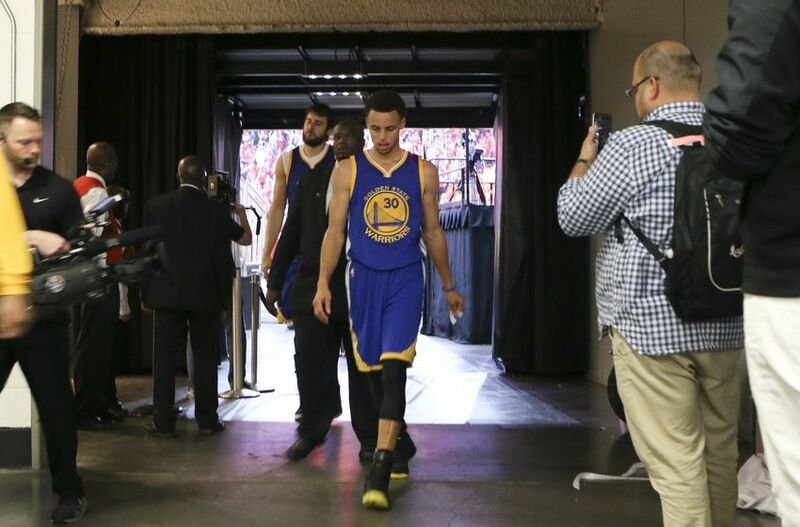 This entry was posted	on Tuesday, May 26th, 2015 at 9:37 am	and is filed under Golden (State) Years. You can follow any responses to this entry through the RSS 2.0 feed. You can leave a response, or trackback from your own site. Now that we’re pretty sure there is no permanent or long-lasting injury, I trust it’s not insensitive to observe that Steph Curry can do many amazing things, but it’s clear that he can’t fly. He can fly, but he can’t block shots and shouldn’t try. It was a dumb play on his part. Basketball 101: don’t leave your feet on defense.